Thinking of settling down somewhere? 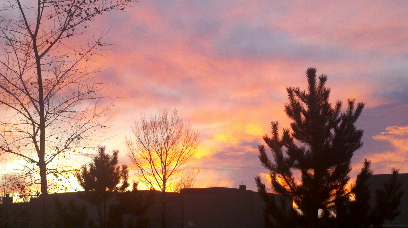 Let me introduce you to Santa Fe. 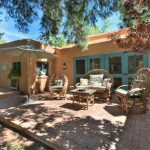 I have lived in Santa Fe for 25-years. There’s a reason. Few places on the planet are like Santa Fe. The serenity is palpable. It’s almost like you can see it floating in the air and reach out and touch it. Time in Santa Fe is an entity unlike nowhere else. It, too, is almost touchable. The pace of life is slow and easy and reflects the gentleness of the countryside and the friendliness and respect of its citizens. Santa Fe put the word casual in the term casual lifestyle. No one judges a book by it’s cover in Santa Fe, New Mexico. No one. There is much to love from the people, to the lifestyle, to the arts and fine dining, to activities, to the breathtaking, incredible, natural beauty. Nothing beats sharing a meal with friends and family and some gourmet dining in downtown Santa Fe. You can’t beat a huevos rancheros Christmas on blue corn tortilla with an egg over easy at the Cerrillos Rd. cafes. Love fine arts? Fine arts don’t get any finer than that found in Santa Fe. Try the Canyon Road Galleries, the Museums of New Mexico or — for the musically inclined — the Santa Fe Opera. And New Mexico is an activity gold mine. Do you love to walk and hike? Walk with your family or dogs on the Santa Fe Train System and the Dayle Ball Trails in the Santa Fe foothills. The area loaded with panoramic vistas and beauty. Love to ski? Check out the skiing in Santa Fe, Los Alamos and Taos. New Mexico is a fishing and camping paradise. The fishing on the Pecos River, Rio Grande River and the Chama River is exceptional. Camping can’t be beat in the Santa Fe National Forest or BLM land in Northern New Mexico. You can motorcycle on the High Road to Taos. Santa Fe and New Mexico has colorful cultural traditions like farolitos during Christmas, the Children’s Pet Parade, Mariachis, Zozobra. Over 300 Santa Fe non-profits to serve your community and network with folks of common interests. 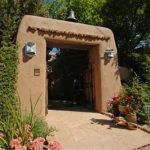 And when you’re exhausted from expending all that energy, the gorgeous mountains and that seemingly endless panoramic view from your home, and other parts of the city makes Santa Fe one of the most beautiful places you will ever live and is just one of the reasons I’ve stayed here for more than 25-years. It will be my pleasure to introduce you to Santa Fe.